There’s so much more out there than Manischewitz. Our reviewer makes the case for buying a case of wine from the land of milk and honey. Full disclosure: I have a love-hate relationship with Israeli wine. When it’s good, it’s world-class, and several of Israel’s wine-growing regions are among the most beautiful in the world to visit. But during my year in Israel from 2010 to 2011, I found myself disappointed by much of what I drank. That said, I’m told the country’s wine industry has improved since then. This article is my attempt to revisit Israeli wine. 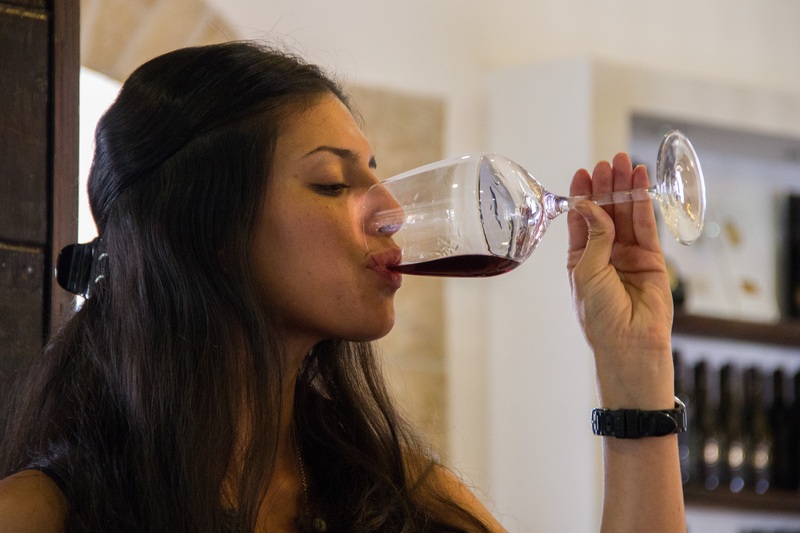 I want to share the experience because the story of Israeli wine is a fascinating one, and sampling Israel’s wine industry is one of the more enjoyable ways of supporting the Jewish state. Hopefully, I will entice you to take your own voyage into Israeli wine. Before I go any further, I must admit that I am a wine snob. I’ve been drinking expensive wine for half my life and began collecting fine wine about eight years ago. Three years ago, I began making wine professionally. I routinely join other wine snobs to share special bottles. So, my standards have only risen since my introduction to Israeli wine five years ago. Still, I am transfixed by the story of Israel’s wine industry. Part of what makes it so compelling for those who fall under its spell are the paradoxes surrounding its success. Nearly half desert, the land of milk and honey made the desert bloom, allowing Israel to become an agricultural exporter, and Israel’s wine is part of this history. Israel’s wine industry is both old, with roots going back 6,000 years, and new, with the industry only beginning to adopt the art’s best practices in the 1970s and still struggling to find a unique style. Part of the Israeli wine world remains behind the times; another is on the cutting edge. Some producers have, through skill, technique, and, most critically, natural talent, made wines that can compete with some of the best the world has to offer. Yet much of the industry is still underperforming in quality and taste. Nonetheless, my voyage demonstrated that this may be changing. So how does one begin to explore Israeli wine? To begin to answer this question, a bit of history helps. The story of Jewish wine goes back at least to biblical times. The Torah is full of references to grapes, vines, and wine. After the flood, Noah “became a husbandman and planted a vineyard,” which would make him the Torah’s first recorded viniculturalist. In the book of Genesis, he also becomes the first person in the Torah to get drunk. In Numbers, Moses sends spies into the Promised Land who return with a cluster of grapes so big it has to be carried on a poll by two men. Later, the Talmud goes so far as to describe 60 types of wine. Jews loved wine in those days. King David’s wine collection was so big that he had an official dedicated to managing it. As Israeli wine critic Adam Montefiore has noted, referring to the role of a certified professional wine expert, “This may have been Israel’s first sommelier!” And Noah wasn’t the only biblical viniculturalist: The book of Isaiah includes impressively cogent instructions on how to plant and care for a vineyard. The evidence of ancient winemaking in what is now the State of Israel is ample. Ancient wine presses and storage vessels have been found from the Negev in the south to Jerusalem to the central coast all the way up to Mount Hermon on the Golan Heights. Winemaking in ancient Israel peaked during the Second Temple period, when it was a major export. After the Temple was destroyed and the Jews forced into exile, however, winemaking ground to a halt. With the Arab conquest in 600 C.E. came the Muslim ban on alcohol and the uprooting of all vineyards. After a brief resurrection of winemaking during the Crusades, the industry was again destroyed by the Ottoman Empire, which ushered in a time of such economic despair and population decline that wine became a luxury none could afford to make or purchase. It took a long time for winemaking to return to the area. The first recorded winery was opened in 1848 by a rabbi named Yitzhak Shor. Shor’s first successful wines were made from a vineyard established using vine cuttings from the Mikveh agricultural school in Jaffa, whose grapes were used by Orthodox Jews to make wine for religious purposes. Shor’s family is still part of the Israeli wine industry today through their ownership of several wineries. These include the Zion winery, which considers itself the continuation of Shor’s original, calling itself “the oldest winery in Israel” on its website. In 1870, Rabbi Avrom Teperberg opened Efrat winery, now known as Teperberg, in the Old City of Jerusalem. But it was not until French Jew Baron Edmond de Rothschild got involved in 1882 that the foundation for today’s Israeli wine industry was first laid. Rothschild, the owner of the famous Chateau Lafite winery in Bordeaux, France, commissioned a study on the agricultural possibilities of the land of Israel, and in 1884 vine plantings began. In 1890, a winery was built in Rishon LeZion, and in 1892 Zichron Ya’akov Wine Cellars opened. The Carmel Wine Company was formed in 1895 to market the wines from these two producers, establishing Carmel as the father of modern day Israeli wine. Carmel continues producing widely known wine today, and has the distinction of having employed three Israeli prime ministers: David Ben-Gurion, Levi Eshkol, and Ehud Olmert. For the Carmel wineries to produce wine, someone had to grow the grapes. Vineries were established in Rishon LeZion, Zichron Ya’akov, Petach Tikvah, Ekron (now Mazkeret Batya), Rehovot, Ness Ziona, Shefaya, Bat Shlomo, and Ein Zeitim. Many of them were funded by donations from Rothschild, and grew the grapes his commission suggested: A species called vitis vinifera, used to make cabernet sauvignon, merlot, chardonnay, and others. These varieties were well-known to Rothschild’s costumers in Europe. Clearly, the baron’s interest in Palestinian wine was not only based on his Zionism, but also a desire to boost his market share. Not coincidentally, much of the wine produced in Palestine during this time was sent to Europe to be sold by Rothschild. The first part of the 20th century was not good for Israel’s budding wine industry. Global economic upheaval meant that quality wine was selling at prices that were too discounted to justify production. So Israel’s vitis vinifera was replaced. The period between the uprooting of vitis vinifera in 1905-1906 and the late 1970s, when they were replanted, was a dark period for Israeli wine. Israeli wine began to reemerge when Israel gained control of the Golan Heights in 1967, which many—including myself—believe has the best potential of any of Israel’s wine regions. Between the late 1960s and the late 1970s, Israeli and some American winemakers undertook, for the first time since Rothschild’s commission, a methodical and scientific look at which varieties of grape would work best in Israel’s climate and soils, which vineyard planting and management techniques would produce the best grapes, and which winemaking techniques would yield the best results. The first modern winery to emerge was Golan Heights Winery in 1983, today Israel’s most well-known. Later in the decade, and increasingly so into the 1990s, the number of Israel’s boutique wineries grew exponentially. Today, Israel may have as many as 300 wineries. So which bottle should you open? When I’m faced with this question, the first thing I do is consult a map, because where the grapes are grown can say a lot about the kind of wine it will turn into in the hands of a thoughtful winemaker. Good wine is like real estate: location, location, location. For wine, location should be analyzed based on two broad categories: weather and geography. Broadly speaking, the important weather factors are the temperatures, winds, hours of sunlight, and precipitation. The most important geographic features include altitude, degree of slope in the vineyard, and soil composition. Since location matters so much, let’s tackle Israel’s wine regions, beginning with northwest, because that’s where Rothschild chose to heavily invest. The heart of winemaking in this area is Zichron Ya’akov, which sits beneath hills overlooking the Mediterranean Sea north of Caesarea. It gets cool breezes off the Mediterranean that temper the warmth in the vineyards, helping winemakers avoid overly sweet and alcoholic wines. It is home to the Carmel Winery’s Zichron Winery, Binyamina, Tishbi, and others; including one of my absolute favorites, Smadar, which only sells directly out of their front doors. To the east is the Galilee, which is made of two growing regions—the Upper Galilee and the Golan Heights. Both are high in altitude and the coolest of Israel’s wine regions. The region is mountainous and relatively rocky, producing heavy but well-drained soil. The results, when not altered too much by the winemaker, are relatively high levels of acidity and low levels of sugar. While still offering plenty of fruitiness, Galilee wines offer the best potential for “earthiness,” meaning vegetal and elemental flavors like green bell pepper, smoke, and limestone. Wine snobs like myself refer to this style as “complex” because of their wide range of fruity and earthy flavors. 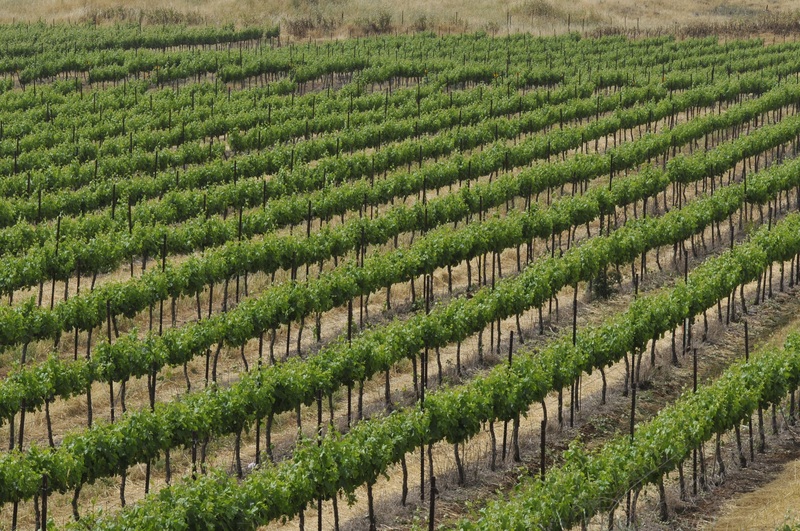 Galilee wineries include Golan Heights, Galil, Dalton, Adir, and the Carmel Winery’s Kayoumi Winery. Heading south towards Jerusalem are the Judean Hills, where interesting things are happening. This region offers altitude comparable to most of the Galilee—roughly 1,500-3,000 feet—but the climate is warmer. Rainfall there is lower, which is an important factor in the kind of wine it can produce. Vines that struggle have the best chance of producing the most interesting wine. One way vines struggle is obtaining sufficient water, and if they is not aided by irrigation, they do so by growing deep roots. As they grow deeper, they interact with a wider range of elements and soil types, which ultimately imparts a wider range of flavors and qualities to the grapes. Several of Israel’s most acclaimed wineries are located in these hills, including Domaine du Castel, Clos de Gat, and Psagot. About an hour east, one arrives at Samson. This was another location of interest for Rothschild. It is a hot and humid area with little elevation or rainfall. The soils tend to be lighter and looser. Known mainly for producing grapes for mass-production wine, the region is home to well-known wineries like Rishon Le Zion Wine Cellars and the Barkan winery at Hulda. Higher up in the Judean foothills is one of the faster-growing wine areas in Israel. Elevation ranges from roughly 150 to 650 feet and the slopes allow for good water drainage during heavy rain, keeping the vines from oversaturation. The area boasts some of Israel’s highest regarded wineries in Clos de Gat and Flam, along with well-known Ella Valley and Teperberg. Finally, we find ourselves in the Negev desert. Despite the arid climate, grapes are grown and wine produced at higher elevations. Its desert climate allows for especially cool nights, which helps limit sugar and tannin production in the grapes and allows for the winemaker to highlight certain desirable qualities. Israel’s highly respected Yatir winery can be found in this area, along with others like Midbar and Kadesh. So, it’s time to move on to the wine. 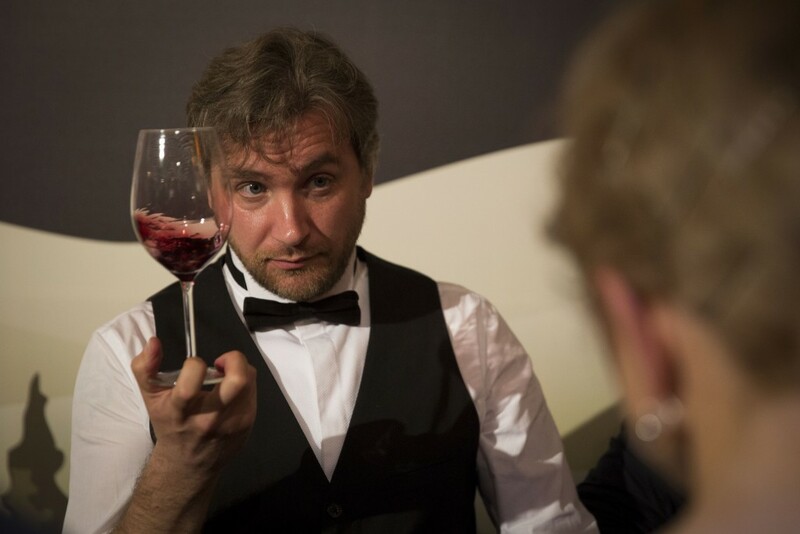 Wine reviewing and scoring is a much maligned and controversial practice. My own view is that critics’ scores matter much less than their taste preferences. Wine is an entirely subjective product, so my recommendation is to find a wine critic whose scores you consistently agree with, and then follow their reviews when looking for recommendations. I tend to prefer low alcohol levels, high acidity, low sweetness, firm structure, and generous amounts of earthy and elemental flavors to balance out ripe fruit. I chose 13 wines to review, with the aim of covering 13 different wineries and 13 different varieties. I went for a price range that would ensure a minimum level of quality without undue expense. This means having to leave out certain wineries known as Israel’s very best. The selection below represents wines that are readily available in American cities with large Jewish populations, as well as online stores that can ship overseas. However, I ultimately doubled up on one winery—Galil. In my experience, Israel’s best chance for competing with international wines is in its viognier, a white grape that offers tropical aromas and flavors with moderate acidity and medium body. In my estimation, Dalton Winery makes Israel’s best viognier: Reserve Wild Yeast Viognier. Unfortunately, I was unable to locate a bottle and went with what I consider to be Israel’s second-best viognier: Galil Winery’s. When considering which red blend wine to pick out, I was inclined to go with Galil’s Yiron blend because of its superb quality and value. The combination of producing a high value viognier and a high value red blend is one of the reasons I returned to Galil Winery. I score the wines using the 100-point scale, which is the most commonly used metric. Wines falling in the 96-100 range are exceptional. The 93-95 range is outstanding. 90-92 is very good, with 87-89 being good. 83-86 is acceptable, 80-82 disappointing, and anything scored at 79 or lower is either flawed or poorly made. In addition, I give a value rating of A through F. This reflects how I perceive the wine based on comparing its quality to its price. I go in order of white wines, rose wines, red wines, and a sparkling wine. 2015 Recanati Sauvignon Blanc. Galilee. $15. Very pale and translucent. Beautiful nose of citrus, vanilla, and stone fruits. Extended air produced some sulfur, but not to the point of being offensive. The palate is medium-bodied with extraordinarily bright acidity that suggests acidulation (raising the acid level by additive). There is a touch of sweetness, and the flavors hit on lemon, pear, tart star fruit, and rotten salad greens. The finish ends very quickly. This is an unimpressive wine and not recommended. 80 points. Value: D.
2014 Galil Viognier. Galilee. $20. Nose: Very ripe and expressive, with honeysuckle, vanilla and tropical aromas of pineapple and mango along with white peach. The palate is medium-plus in weight along with good acidity. The structure is well balanced and pleasing. There are gorgeous tropical fruits of mango and pineapple, which benefit from the live acidity and weighty structure. Peach is present along with vanilla pudding and white pepper. The wine finishes nicely with moderate length. 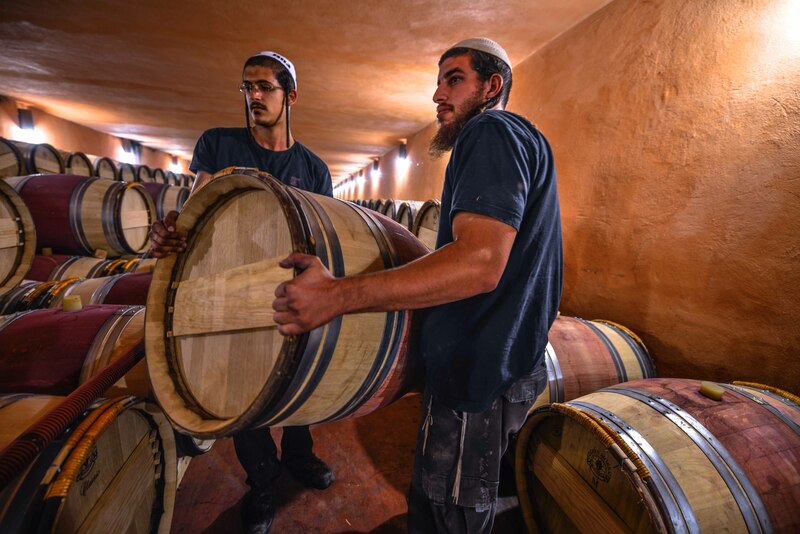 Every year, Galil produces one of Israel’s top viogniers, and 2014 is no exception. Strongly recommended and sure to be a crowd pleaser, it is also a very food-friendly wine. 91 points. Value: A. 2014 Tulip Winery White Tulip. Galilee. $24. Gewurtztraimer and sauvignon blanc blend. Nose: Very aromatic and pretty. Burst of orange blossom, honeysuckle, and star fruit. Well-pollinated flowers and fresh cut grass. Palate: Medium-plus body with a high glycerin texture. With medium acid and just a touch of sweetness, this is a beautifully structured wine with a silky mouth feel. Orange blossom and honeysuckle on the palate too. Orange zest and rose water. Slight petrol overtone and a hint of smoke. There’s dried thyme as well. Finish: The acid turns it up a bit on the finish, and the honey and orange remain for a long time. An unusual blend, this is a beautiful and well-made wine. It begs for roasted vegetables and fish. 91 points. Value: A. 2014 Flam Blanc. Judean Hills. $30-40. 60 percent chardonnay, 40 percent sauvignon blanc. This blend is aged in stainless steel. Very pale and clear in appearance, surprisingly more similar to sauvignon blanc than chardonnay given the blend. Nose: A ton of honeydew melon, honeysuckle, and vanilla. Lemonade. Mascarpone. Strong, late note of limestone. Palate: Full-bodied, high viscosity. Medium acidity, just a touch of sweetness. Coherently structured and well-balanced, and unusually weighty for a wine that saw no oak. Big white pepper, Meyer lemon. Juicy cantaloupe, pineapple, mango, and white peach. Finish: The acid and tropical fruits stay strong as the stone quality strengthens and chalkiness enters. The austerity turns up on the finish and suggests this wine is better served with food than consumed alone, preferably with seafood. 91 points. Value: C.
2014 Segal’s Special Reserve Chardonnay. Galilee. $20. Nose: Reserved but pretty, with under-ripe banana peel, lemon, vanilla, and butter. It suggests full malolactic fermentation and oak barrel aging. The palate is full and round with mouth-coating high viscosity. There is sweet mango sorbet and vanilla custard, along with unexpected but pleasant cucumber and zucchini. The finish is persistent and lush. This is a no-brainer for lovers of full-bodied, oaked chardonnay and can compete with most California chardonnays of this kind at this price. 90 points. Value: A. 2013 Or Haganuz Amuka Rose. Galilee. $20. Blend of cabernet franc, merlot, shiraz, and mourvedre. Made in a semi-sweet style, this has noticeable residual sugar. Nose: Definite sherry, strawberry. Cocktail cherries. Honey. Palate: Full bodied rose, quite sweet. No tannin, medium acidity balances the sweetness. High viscosity, mouth-coating. Strawberries, raspberries, and cocktail cherries. Honeysuckle and maple syrup. Cigar tobacco. Finish: Surprisingly, it’s the cocktail cherries that ride it out. This may be slightly over the hill, but the high sugar and acidity of this semi-dry rose keeps it pleasant despite its age. This can be enjoyed chilled on the porch with or without barbeque. 84 points. Value: D.
2014 Domaine Netofa Rose. Galilee. $25. Blend of mourvedre and syrah. Nose: Very aromatic and dominated by mustiness (very unusual) and big honey. Very ripe peach. Palate: Medium bodied, low acidity. Strong evidence of sulfuric acid, the sulfur was improperly managed during the winemaking process. Undrinkable, unrated. 2010 Carmel Winery Kayoumi Vineyard Shiraz. Galilee. $32-$43. This requires some air—pour it out into glasses or a decanter and let sit for at least an hour or two. Nose: Dominant burnt cherries and plums. Orange. Black pepper. Smoke. Palate: Medium-plus body and juicy acidity, mouth-coating fine grainy tannins. Slightly sour, but not unpleasantly so. Blackberries and black plums with a strong dose of orange zest. Hints of mint and dried thyme. Earthy flavors of tar and tobacco leaf. Finish: The tannins smooth out and the wine coats the mouth, and as the acid and fruit die out the tar and tobacco are joined by smoke. Overall a decent but underwhelming wine that lacks an attractive personality. 88 points. Value: D.
2010 1848 Merlot Judean Hills. $20. Gorgeous nose of toasted oak, dark cherry, mocha and tobacco. Bit of smoke. Palate: Though not flawed, it all goes wrong here based on unfortunate winemaking decisions. Far too much tannin extraction during crush and fermentation, the tannins are coarse and harsh, especially for a wine that is already six years old. The fruits are stewed and burnt, and there are strong prune flavors that are a bit bitter (another sign of over extraction). The finish is especially unpalatable as the tannins leave the mouth feeling dirty. 79 points. Value: F.
2012 Psagot Cabernet Sauvignon. Judean Hills. $35. The star of the lineup, this blew me away. Fruit compote of blackberries, plums, and cherries on the nose, along with black pepper and tobacco. There’s some wildness to it along the lines of a northern Rhone syrah and wet soil. Over time, spearmint emerges. The palate is medium-plus in body with dense, grainy tannin. Medium acidity helps cut the tannin and helps define a dense structure that achieves a lightness that the nose does not suggest. Flavors include dark cherries, blackberries, smoke, cocoa, espresso, and peppermint. It’s a dark and brooding flavor profile. The finish is long and pleasant. This is still a young wine and requires at least two to three hours of decanting before consuming. It will be even better in another two or three years. For the price, this is better than most cabernet sauvignons from any part of the globe. 93 points. Value: A. 2012 Galil Yiron. Galilee. $30. Cabernet sauvignon, merlot, and syrah. The nose is restrained, with bright cherry and raspberry, along with white pepper and orange zest. There’s a whiff of smoke, lavender, and thyme as well. One of the most herbal noses of any Israeli wine I’ve had. The palate is full-bodied and quite tannic. Medium-plus acidity, the structure is decently balanced despite the robust tannins. The fruit is dark and brooking, and there is black pepper spice and smoke. Eventually, the herbaciousness of the nose develops on the palate with classic bouquet garni-dried green herbs. The finish is a bit short but pleasant. Overall this is one of my favorite Israeli red blends, though it requires five to ten years of aging from vintage and is a bit immature at this point. The restrained nose, heavy tannins, and short finish are all indicative of the need to let this age for another one to two years at least, at which point it will start to become something special. Right now, this is a 90-point wine. With age, it will creep up a few points. It is also very price competitive with similar blends from around the world. Value: B+. 2010 Yatir Petit Verdot. Negev. $55. Nose: Interesting combination of light, ripe raspberries, blackberries, and cherries with dark scents of licorice, black pepper, and tar. Palate: Medium-plus body with very chewy tannin and bright, juicy acidity. The fruit—raspberries, red and black plums, cranberries, strawberries and blood orange—is a nice contrast to the seductive dark flavors of licorice, dried prunes, smoke, cigar tobacco, and graphite. Finish: The thick tannins dry the mouth quickly, but the big acidity keeps the fruit alive. A bit disjointed at the moment, this is an intriguing wine that will come together with another three or more years of ageing to become greater than its parts. It’s just a baby requiring several hours of decanting to become approachable. While it is unfortunately not very price competitive on the global market, it suggests the most skillful winemaking reviewed here as it is very difficult to tame petit verdot’s dominating tannins and spice and allow more flavors to emerge, as the makers have done here. 91 points now with the potential to shoot up to 93 with more age. Value: C-. Non-Vintage Tishbi Brut bottle fermented sparkling wine. Multi-region. $40. The bottle reports 11 percent alcohol by volume, which I doubt. It is surely higher. Nose: Very round and ripe with sweet lemon and caramel notes. There is also some mustiness and vegetal aromas. The palate is unusually ripe for a sparkling wine with a small but surprising amount of sweetness. The bubbles are small and initially aggressive in the mouth. There is a big dollop of Granny Smith apple that grows increasingly sour and is supported by bitter greens. It finishes with medium length. This is an unusual sparkler and not particularly pleasing, although I did enjoy the combination of tart apple and bitter greens. At $40, however, there are much better sparkling options from other parts of the world. 88 points. Value: D.
As the scores suggest, these wines were a mixed bag. Among the whites, those that stood out were the Galil Viognier, Segal’s Reserve Chardonnay, and the Tulip White blend, with the Galil offering a world-class example of viognier, the Segal’s competing on price with the far more popular classic California chardonnay profile, and the Tulip offering a unique and very appealing blend. The Flam blend was very good, but is of poor value. Flam is known as one of the more outstanding Israeli wineries, and from their other wines I’ve had I would concur with that categorization, though they are priced quite high. On the rose front, unfortunately, neither were very good, which disappointed me as I’ve had several good roses from Israel. Do not let these two dissuade you from trying others. The reds offered the greatest distribution of quality and value. The Carmel Kayoumi shiraz and 1848 merlot were supremely disappointing, and I cannot in good faith recommend them on either quality or value. The Galil Yiron, which is very price competitive, and Yatir petit verdot, which is not, were both good, but with proper storage could turn into blockbusters in a few years. The wine of the tasting for me was the Psagot cabernet sauvignon. I not only highly recommend it to those looking for quality Israeli wine, but to all cabernet sauvignon lovers. There are a number of Israeli wines that I wish I could have tasted for this article, some of which I was unable to acquire because they are unavailable in the United States, and likely unavailable anywhere outside of Israel. To try these, one must go to Israel. But a trip to Israel to taste its wine is a very worthwhile experience. For those interested in taking a few days during their next trip to Israel to sample its wines, I’d like to offer a suggested route. It takes two nights and is biased against my preference for the northern wines of Israel, as well as my love of Israel’s north in general. This route is equal parts great wine, geography, and people, and can be done either in the order presented here or in reverse. On the first day, begin with a visit to Clos de Gat in the Judean Hills, a contender for best winery in Israel, featuring big, well-structured wines. The winery requires an appointment made ahead of time. From there, drive to Zichron Ya’akov and plan to spend the night. Check into the boutique Smadar Inn and Winery, which offers some of the best Israeli wines I’ve had as well as a romantic, rustic bed and breakfast with pool. And, if your timing is good, you’ll be able to try the limoncello they make from lemons they grow on the property. You can also visit the Tishbi, Carmel, and Binyamina wineries in Zichron. Eat dinner at one of the many restaurants on Zichron’s famous HaNadiv and HaMeyasdim pedestrian-only streets in the center of the city. After breakfast the next morning, make your way to the city of Dalton, where Dalton Winery and Adir Winery and Dairy are across the street from each other. Dalton offers a large number of wines that offer an impressive range of styles while maintaining consistent quality. Adir is not to be missed either, offering a decidedly New World, fruit-forward line up of high quality wines. Absolutely do not miss the incredible lunch available in the adjacent Adir Dairy that consists of multiple types of goat cheeses, salads, and breads. Next, make the 15-minute drive to Kibbutz Yiron and visit Galil Winery. Galil’s facility is very modern and attractive, so make sure to take their tour, which ends with a tasting of a wide range of their wines in a room with windows exposing a beautiful view of vineyards and mountains. My favorite options for lodging in this area are located nearby in Kerem Ben Zimra where many of the grapes that went into the wines you just tasted are grown. In the morning, travel down to Haifa and finish up with one of my favorite boutique producers not available in America: Vortman. Vortman’s tasting room offers spectacular views of the Carmel and the Mediterranean, and their wine is wonderful. From there, the rest is up to you. 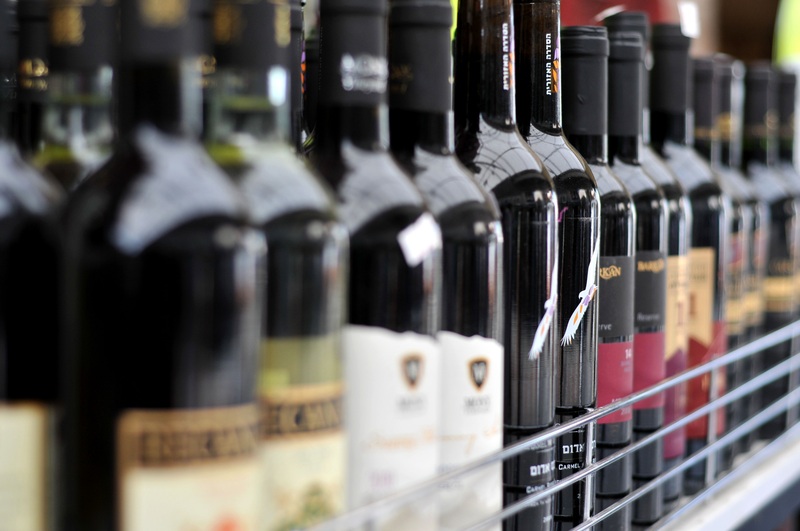 On your way out of Israel, make sure to check out the James Richardson Duty Free store in Ben-Gurion airport, which offers a large selection of Israeli wine and provides the most convenient way to bring back your favorites. Many supporters of Israel feel inclined to love everything that is Israel, so I felt that admitting my relationship with Israeli wine was love-hate might alienate readers. But did my exploration of Israeli wine push me closer to the love end of the spectrum? The answer is, thankfully, yes. No place in the world produces great wine across the board, but this voyage into Israeli wine has made me want to carve out more space in my cellar for it. It has also made me more critical of Israeli wine, because I’ve been able to taste wines that clearly indicate some producers in Israeli have raised their game. I only hope that more will follow, and that you will drink their work.